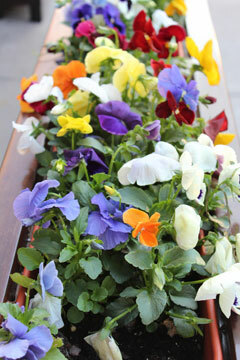 At Zojirushi, welcoming March means welcoming spring. It is a time for new life, fresh produce and original ideas in the kitchen. After a long winter, the time is right to open the doors and windows, and allow new dishes onto our tables and into our hearts. Local markets are abundant with fresh peas, baby lettuce, carrots and a variety of sweet fruit. Things like mandarin oranges, fresh pears, pineapples and mangoes make fixings for delicious breakfast sides, sweet salad toppings and healthy desserts. This is a great time to play with local produce and creativity in the kitchen. As you know, we always test our products and recipes to ensure the best quality and function for our customers. That being said, don’t feel tied to our recipes. Use them as a guide, or as a map to get you started, and then remake your own. Use produce that are available to you, and never worry too much about getting it just right. The most important ingredient you’ll need is your confidence and creativity. Have a wonderful March, filled with delicious food and happy memories. We love hearing from you and want to see how you utilize our products and recipes in your daily life. Please share ideas, pictures and stories on our Facebook page. There’s nothing we love more than hearing from you! Cheers! It’s hard to believe that it’s already time for Hinamatsuri again. It seems it was just yesterday that we were celebrating last year’s holiday. Hinamatsuri, also called Doll’s Day or Girl’s Day, is a special day in Japan. Each year, on March 3rd, families get together and celebrate the girls in their lives wishing them health, happiness and all the best wishes. For this special day, ornamental dolls called Hina ningyo (ひな人形) are displayed over a platform covered with red felt at homes. These dolls represent the emperor, empress, attendants and musicians in traditional court attire during the Heian period (794 – 1192). The number of dolls and steps vary, but the emperor and the empress is always placed at the top tier. Colorful foods and drinks are also a significant part of this celebration. Hina-arare (colorful bite-sized rice crackers coated with sugar) and hishi-mochi (diamond shaped rice cake in a layer of 3 colors: pink for peach flowers, white for snow and green for new growth) are placed with the dolls. Chirashizushi, also known as Gomoku sushi (a “scattered” sushi), ushiojiru (a salt based soup with clams), and shiro-zake (white fermented rice wine) are other common items served during this celebration. Ohagi – The Perfect Treat for Spring! Ohagi (pronounced oh-hah-ghee) is a delicious, traditional Japanese dessert. It consists of a ball of coarse sweet rice covered with a layer of adzuki bean paste or kinako, roasted soybean flour. Typically rice is soaked for 6-12 hours prior to cooking and is prepared similar to mochi. They are commonly eaten during higan periods which are around the spring and autumn equinox. Another type of ohagi is inverted, with the rice on the outside and beans on the inside; these are often coated with a layer of kinako. This traditional dessert has been around in Japan for centuries. 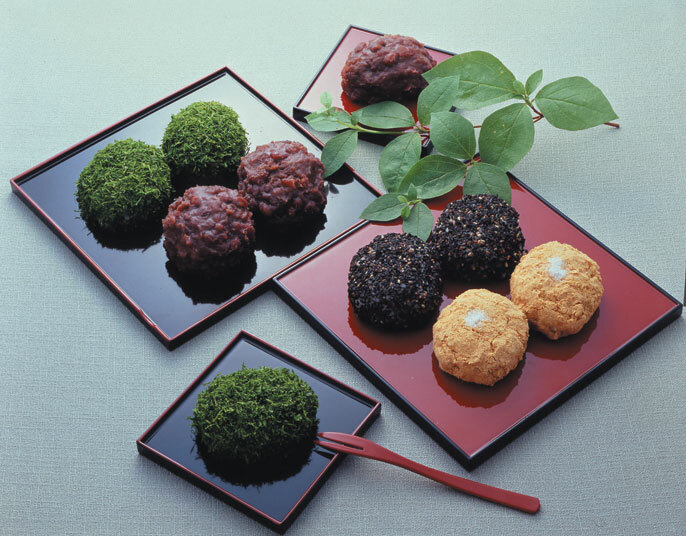 Ohagi is fun to make with your children and even more fun to eat! If you have not made a Japanese dessert before, this is a great dessert to try! The Zojirushi Product of the Month for March is the NEW Stainless Steel Food Jar SW-GA36. This product features a new design that looks great and is easy to use! 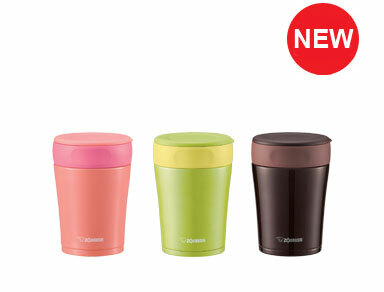 The new tapered shape with flat interior design makes eating and drinking easy, but also easy to clean. It also comes with a removable mouth ring to make it easier to eat and drink from! The new shape with three new colors, Avocado Green, Coral Orange, and Café Brown, this is one stylish way to take a delicious meal on the go.e vacuum insulation can keep temperature of the food for up to 6 hours. A durable SlickSteel® stainless steel interior resists corrosion and repels stains. Like all Zojirushi vacuum insulated products we back the Stainless Steel Food Jar with a 5 year warranty on heat retention.